It takes a different kind of person to deliberately seek out the daunting and the unknown. Some just aren’t cut out for it. And yet, there are others who welcome the challenge of the extreme or difficult. Whether it’s great heights or incredible speeds, Kansas City has what you need to get your blood pumping—so prepare yourself for KC’s lively hotspots. Strength and patience are key to facing the challenges at RoKC, one of Kansas City’s only rock climbing gyms. 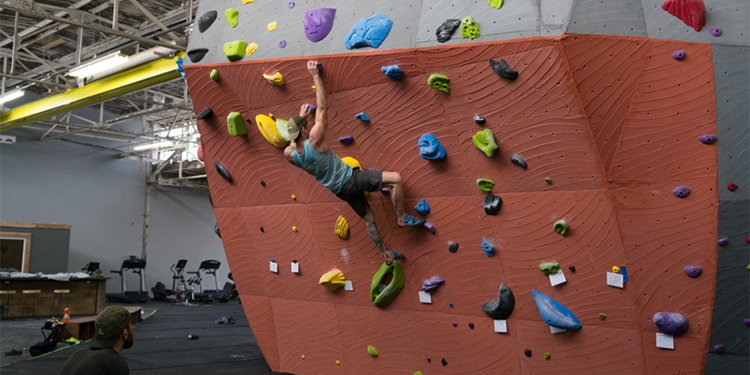 Take on the bouldering routes in the first climbing room, where paths are color-coordinated, labeled by difficulty and changed on a regular basis. Once you’re sufficiently warmed up, strap into a harness and work your way up lead walls topping out at 40 feet high. Constructed to accommodate both newcomers and experts, the North Kansas City gym fosters a strong community of climbers looking for a good workout and willing to test their limits. 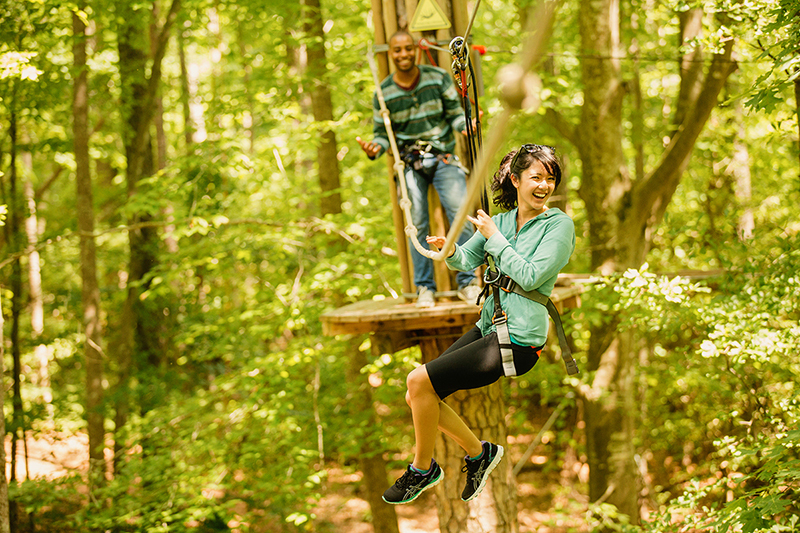 Zoom through a lush, green forest and soar among the treetops at Zip KC, one of Kansas City’s most thrilling destinations. The 143-acre adventure park in Bonner Springs features nine zip lines from towers up to 65 feet high—and some of the best views found in the KC metro area. Tours include a mix of hiking and zip lining, as well as a sunset “date night” option for couples. And if you’re still in search of excitement, the final zip for both The Tower Tour and The Ultimate Adventure Zip Line Tour ends with a zero gravity line, making for one memorable finale. 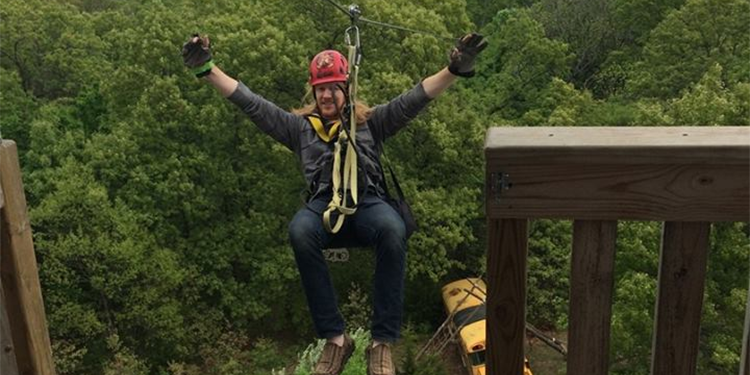 Just south of the Kansas City Zoo in Swope Park, Go Ape Treetop Adventure combines a zip line canopy tour with a treetop obstacle course for a totally wild, wholly unique way to experience the outdoors in Kansas City. The obstacle course—which is suspended among the trees—is split into five different sections, each with unique crossings that allow you to swing, zip and step your way to the end, all while secured to a safety harness. The truly daring can try out the Tarzan Swing to travel through the trees like the King of the Jungle himself. 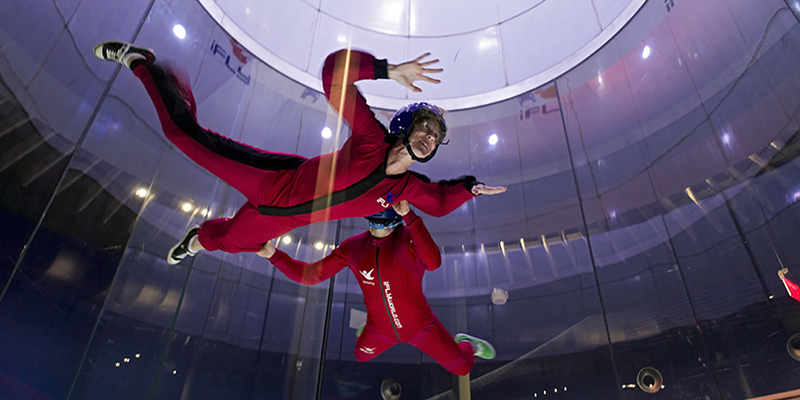 One of the most popular bucket list activities is even more approachable thanks to Overland Park’s iFly Kansas City, an indoor skydiving experience that simulates the feeling of surfing the sky without guests ever having to jump. Huge fans draw air into the flight chamber so that visitors—decked out in skydiving gear—can float, barrel roll and more as if they were actually soaring among the clouds. Fit for fliers of almost any age, iFly is a can’t-miss adventure and an accessible way to earn your flight wings.